The development of mesothelioma is a direct result of asbestos exposure. This rare and aggressive cancer overwhelmingly affects men who have worked in certain industries since the mid-twentieth century. Union workers built this country and are the back-bone of our industrial economy. Unfortunately, men who were employed in as union workers, in trades such as insulators, steam fitters, electricians, machinists and auto workers, were exposed to asbestos on the job. Countless products that these workers handled in the course of their daily lives- including asbestos cements, insulation, brakes, clutches, gaskets, roofing materials, and plaster – contained asbestos. The use of asbestos in these products posed a danger to union workers and warnings by the manufacturers and suppliers of these potentially lethal materials were mostly nonexistent or inadequate. Also, premises owners operating large industrial facilities where union workers did their job often failed to provide a safe place to work. Millions of workers who worked in unions continue to remain at risk for mesothelioma. Trade unions played a pivotal role in the lives of workers in these industries. Unions have historically protected their members’ interests by advocating for higher wages and safe working conditions. The principal purpose of unions is to facilitate the improvement of working environments for all members. One of the union’s primary roles was to shield its members from exposure to toxic materials once these hazards were widely known. However, the unions were not provided with sufficient information about the hazards of asbestos by the companies that manufactured and sold these dangerous products. Also, union members often worked with asbestos on premises that was known to be present and hazardous by the premises owners. The companies that produced asbestos materials exposed workers for years to these harmful materials and failed to alert workers about the hazards of prolonged contact with asbestos or advise them to take protective measures to alleviate the damaging effects of exposure. In addition, while masks were used in some facilities to protect workers, those masks were often defective in their ability to protect against asbestos. Although the unions’ struggle against asbestos exposure, has made progress over the past 35 years (since the enactment of OSHA regulations) much of the damage from asbestos has largely been done. Still, the asbestos hazard persists on many job-sites, despite government regulations. Asbestos was once hailed by some as a miraculous product and its versatility and low-cost made it a staple across a large number of industries. Certain trades were particularly affected by exposure to asbestos and their workers were acutely harmed by the glaring absence of action by manufacturers. Auto workers handled brakes, brake pads and clutches in automobiles that contained asbestos. Mechanics inhaled the asbestos dust while working with these parts for years. Similarly, boilermakers manufactured and installed boilers that were insulated with asbestos, which was widely acclaimed for its heat insulation properties. Home, factory and commercial construction trades also exposed builders and other workers to asbestos, where asbestos fibers were commonly inhaled in the process of installing insulation, tiling, and drywall. Because of its insulation capabilities, electricians also routinely handled asbestos that acted as insulators for wires. Electricians were also often exposed to asbestos while performing electrical labor in newly constructed buildings. Steamfitters and plumbers, who were involved in constructing and repairing pipe systems, encountered asbestos in their daily work. The risks for plumbers continue today as working with old piping systems still presents the possibility of exposure to asbestos. Workers in these union trades must take preventive measures to prevent contact with asbestos in old systems and homes. Various unions have been outspoken about the rights of employees who later developed asbestos related diseases, including mesothelioma. However, corporations often wield the most power in Washington D.C., which has limited worker protections. In fact, under the current OSHA regulation, employers are permitted to expose their workers to a certain level of asbestos on a daily basis, even though it’s known that there is no safe level of asbestos exposure. Despite the corporate-dominated power in our political system, unions have had some success in uncovering industry-wide efforts to conceal dangerous practices, which eventually have led to somewhat safer work conditions and compensation for victims and their families. Specifically, unions members (acting as plaintiffs in their lawsuits for mesothelioma and other asbestos diseases) have been involved in gathering evidence for court cases, and exposing large scale cover-ups by companies who were aware of the dangers of asbestos. Unions that have fought the battle against the dangers of asbestos include the Asbestos Workers Unions (Insulators), AFL-CIO, United Steelworkers, and the International Brotherhood of Electricians. These unions and others have fought to keep the courthouse doors open so that victims can receive full and fair compensation for their injuries. Unions have also been active in fighting various legislative measures known as “tort reform” that could prevent the imposition of liability on companies for asbestos exposure. Some unions have also provided resources for victims of asbestos exposure. The International Association of Heat and Frost Insulators & Allied Workers established a health screening program to test for asbestos diseases, a political action fund to ensure representation in legislative matters, and a training program to provide asbestos education to current union members. Courageous union members have also testified in court cases at the request of personal injury attorneys to provide important factual testimony to assist their members in pursuing litigation against manufacturers and suppliers of asbestos materials. 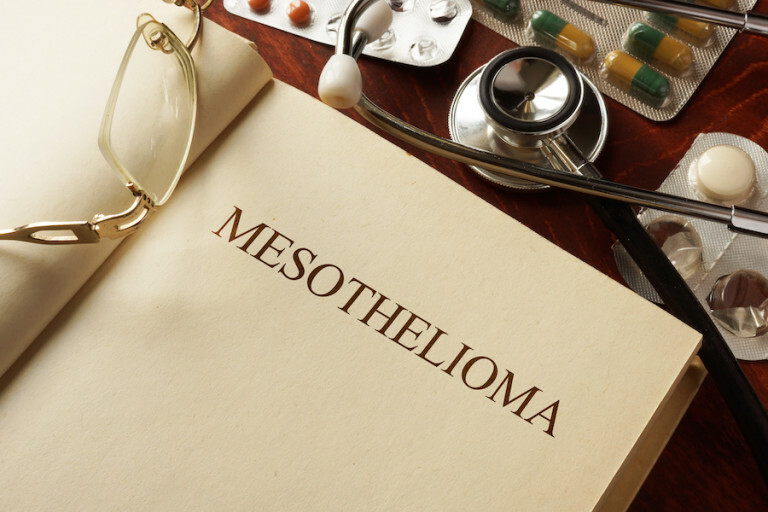 If you or a family member has been diagnosed with mesothelioma, MesoLawyersCare can provide you with expert advice and attention in litigating your claim. We have successfully recovered hundreds of millions of dollars for thousands of union workers who developed asbestos-related diseases by no fault of their own. We are committed to helping you obtain the highest compensation possible for your pain and suffering and other losses. MesoLawyersCare has made significant donations to various research and patient support initiatives for mesothelioma and will continue to help victims and their families fight this disease. To discuss you case, please call 1-888-568-1177 or contact us through this site.